It’s That Time of Year! 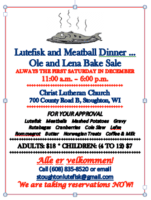 Make Your Reservation Now for this Popular Event! 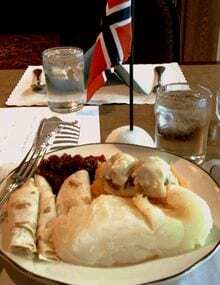 Lutefisk, meatballs, mashed potatoes and the works!